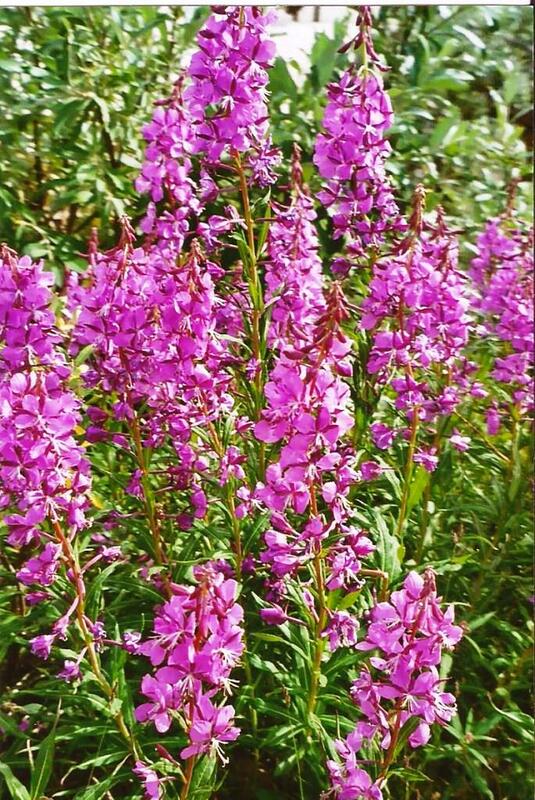 Fireweed is a wild flower that grows in many areas of Alaska. We were introduced to it during our 6-hour ride to the Back Country Lodge deep inside Denali National Park. The guide informed us that the plant blooms from the bottom of the stalk up. The lore is that the number of inches to the top of the stalk is how many weeks before the first snowfall. He said one year they did not pay attention and ended up having to fly out from the small airfield located near the lodge, as the roads became impassible with a mid August storm. This entry was posted in Alaska, Natural Must See, Travel and tagged Alaska, back roads, flowers, Nature. Bookmark the permalink. It pops up around here after a forest fire. I’ve also seen it in the Rockies. Did not know it grew in Alaska. I love fireweed. I see it most summers when I am home in Montana and it is so beautiful.